Chef Martín San Román is a study in contrasts. A TV chef, he’s soft spoken. 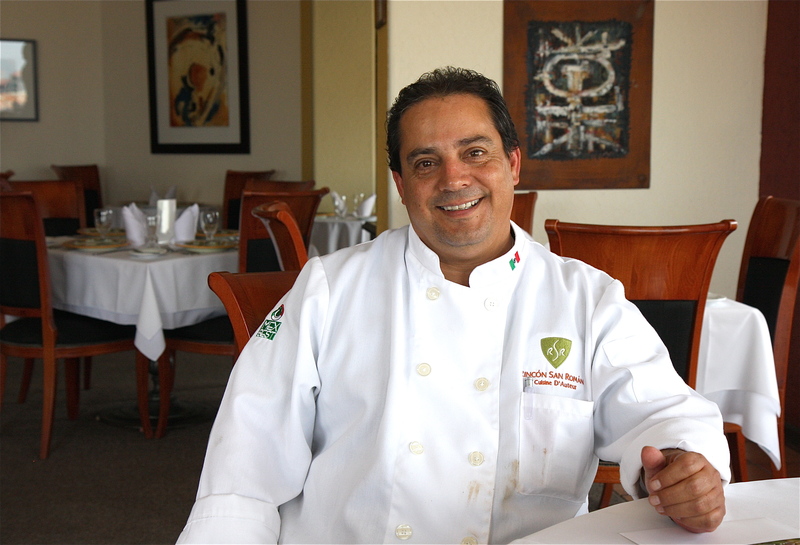 A Mexican chef, he’s classically educated in French cuisine. 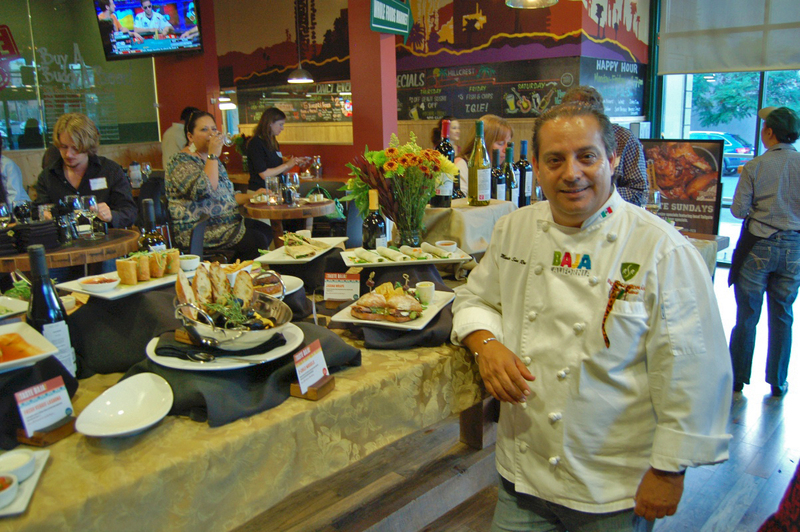 A major figure in the New Cuisine of Baja, he trained in Paris, made his name in San Diego and still helms the kitchen at San Diego fixture, Dobson’s Restaurant. While he’s in his mid-50s, a time when many Chefs begin to slow down, he’s about to open two restaurants and his signature brand of high-end tequila is about to hit the U.S. market. Born in Mexico City, San Román graduated from L’Ecole Lenôtre in Paris, France where he trained at Fauchon and Le Meridien Hotels in Paris. From there he moved to hotels in London and then the Westgate in San Diego before opening two restaurants in Tijuana, Tour de France and Rincon San Roman. 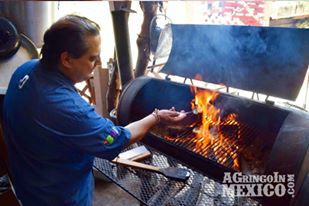 His cooking show on the Televisa Network—the largest in the Spanish speaking world—ran for eight years with a strong following on both sides of the US-Mexico border. He’s won numerous awards and innumerable honors in numerous countries. There’s little ground to question San Román’s resume. For many high-end Chefs their resume is more than their calling card, it ends up as who they are. The rest of life is consumed by the insatiable beast that is “the business.” And it would certainly be easy for that to be San Román’s story. It’s not quite as “simple” for San Román as it is for most in the business. 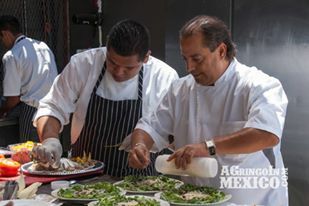 He doesn’t work one restaurant, he currently helms three—Dobsons in San Diego, La Terrasse San Roman in the Valle de Guadalupe, La Rotisserie San Roman in Tijuana—and is the Consulting Chef at Restaurant Asao in Tecate and at Jardines de Mexico near Cuernavaca. 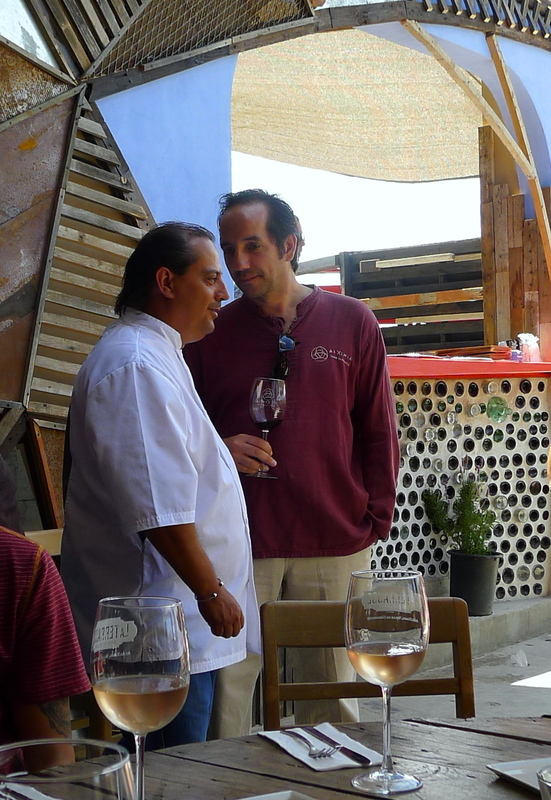 While some of San Román’s cooking has leaned more in the direction of the French cuisine within which he was trained, La Terrasse San Roman is decidedly Baja. The region’s new cuisine is sometimes referred to as “BajaMed.” At La Terrasse, San Román clearly identifies that “Med” as French: Provence, to be specific. 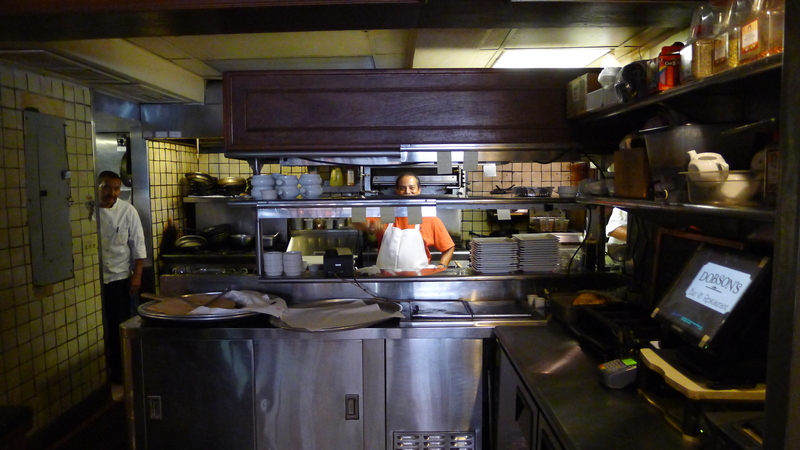 At Dobson’s Restaurant in downtown San Diego, where he has helped revitalize one of San Diego’s classic culinary institutions, San Román’s more traditional cooking is on display. Try, for example Dobson’s most famous dish: the superlative mussel bisque en croute. Made from a lobster, shrimp and mussel stock with white wine, and strained before adding five boatloads of cream, the signature of this signature dish is the puff pastry crust, cracked tableside to allow a glug of sherry. As I’ve written previously of the dish, there is absolutely nothing wrong with this dish that a private trainer can’t put right. San Román’s cooking will be on display ¡Latin Food Fest! returns to San Diego August 12 – 15, 2016 for its fourth annual Latin culinary classic. In addition to San Román, the festival will kick off with “Chefs Night Out Party” at Coastera on Friday August 12, a Grande Tasting August 13 – 14, and will close with “Latin Caribbean Supperclub” on August 15 at the Broadway Port Pavilion. The Grande Tasting will see two days of wine workshops, Spirits of the Americas Tent, Best of Fest Awards, music by the legendary Amistad Cubana, Mission Fed VIP Tent, Oasis Tent by Obrigado coconut water, and cooking demonstrations on-stage by chef Martin Omar who is travelling from the Dominican Republic for the festival, Chef Claudia Sandoval, Master Chef Season 6 Winner, Jaime Chavez, owner/exec chef, Sirena Latin Seafood Restaurant, Christine Rivera of Galaxy Tacos, and Ami Cisneros of Pacific Standard Restaurant. 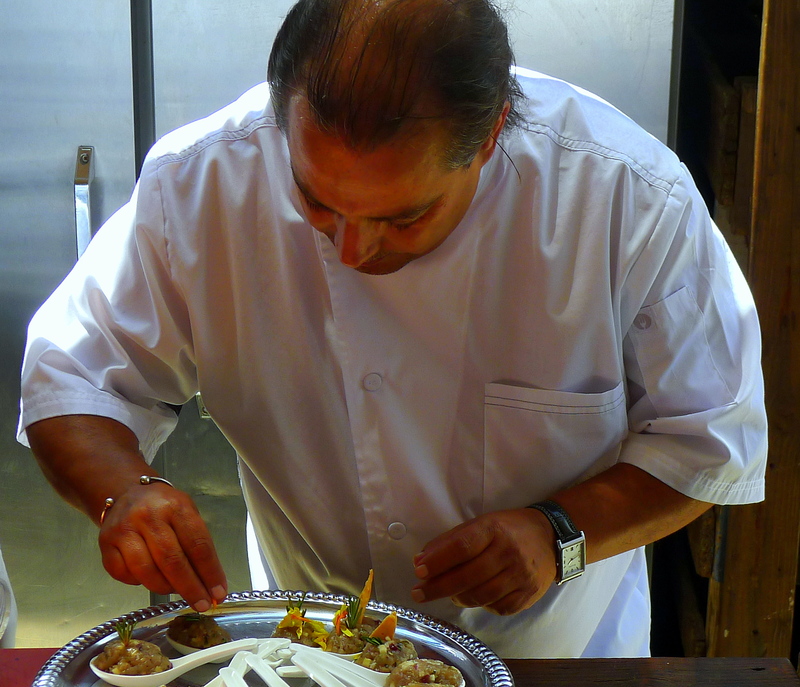 The highlight, though, might be when San Román serves Puerto Nuevo style lobster in the Mission Fed VIP Tent during Grande Tasting on Saturday. It won’t be some over-concieved “take” on the dish, he says: “Fried lobster, Mexican rice, pinto beans, butter, salsa and large flour tortillas.” It’ll be “the way it was made in Puerto Nuevo” back in the day. And that might just be another episode in the long running show: Chef Martín San Román: Study in Contrasts. 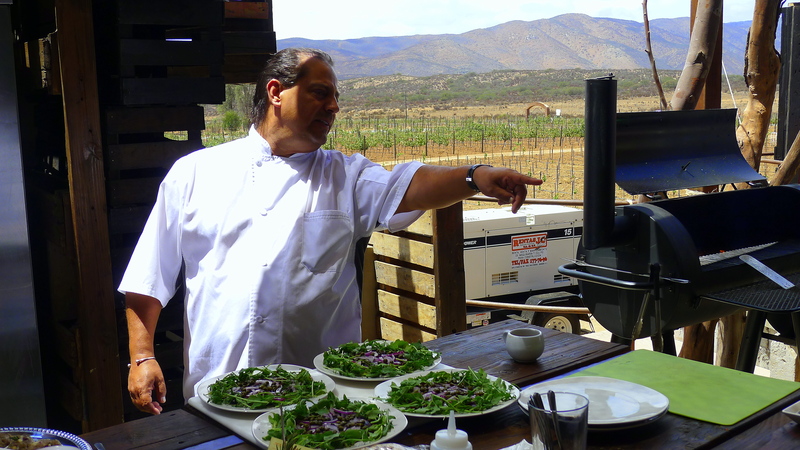 This most modern of Mexican chefs making one of the most classic of Northern Baja culinary delights.